Henri's Exquisite Catering is a family-owned and operated catering company that has been serving the San Fernando Valley and LA County for over 30 years. 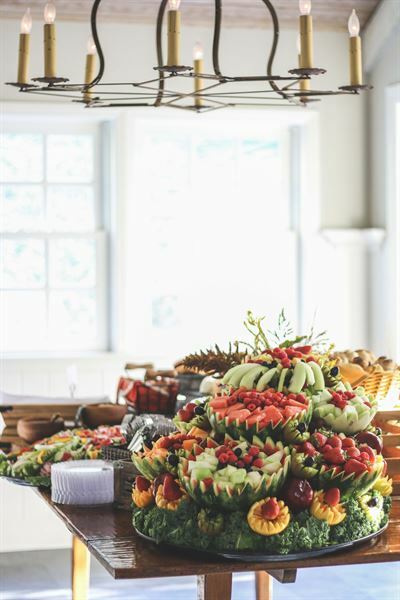 As a full-service and off-premise caterer we can handle all the aspects of your special day. We have a variety of venues we can recommend and can arrange for Rentals, Music, Flower Arrangements, Entertainment, Photographers, or whatever you need to make your wedding truly unique. What makes Henri's Exquisite Catering unique is our long history and our dedication to providing the finest in food and presentation. As a small, family-owned and operated business we strive to give our clients the best service possible. We do not double book weddings and only do one wedding per day. That allows us to go the extra mile with our brides and grooms ensuring they get nothing but the finest service. At Henri's, our attention to detail and dedication ensures your event has "that extra special touch" to make it truly exceptional. Join the Henri's family and let us help you plan the wedding you've always dreamed of... Please give us a call or email with any questions and we will be more than happy to answer them and provide you with a quote!